Several of the library's research databases are especially well suited to ESLs student needs. Opposing Viewpoints, and CQ Researcher each allows students to easily bring up bundles of relevant journal articles with just a few simple a few clicks to "browse" a list of topics. Use the "Browse" topics button, located on the upper left hand corner of each database. Films on Demand contains video/films on numerous subjects. Use it to learn about your topic through a streaming video containing images, spoken English, and a text transcript. Informe is a Spanish language student research database. VOA presents the day's news in spoken intermediate English. Read USA Today an easy daily newspaper. Use the MP3 audio playback feature to listen to the news stories to improve your listening comprehension. "CQ Researcher provides award winning in-depth coverage of the most important issues of the day. Our reports are written by experienced journalists, footnoted and professionally fact-checked. Full-length articles include an overview, historical background, chronology, pro/con feature, plus resources for additional research. Graphics, photos and short "sidebar" features round out the reports." Use the Browse button in CQ Researcher to simplify searching. Now you can focus on developing your English language skills. The Voice of America's regular broadcasts are available by Internet. VOA presents the the news in English in 3 levels of difficulty: level 1, level 2, level 3 (the suitable level for college students). Voice of America broadcasts a structured course for learning English called "Let's Learn English." "Certified American English teachers designed the course for beginners. Each week, there will be a new lesson with video showing the lives of young Americans. The lesson includes instruction in speaking, vocabulary and writing." There are 52 lessons that run for 52 weeks. 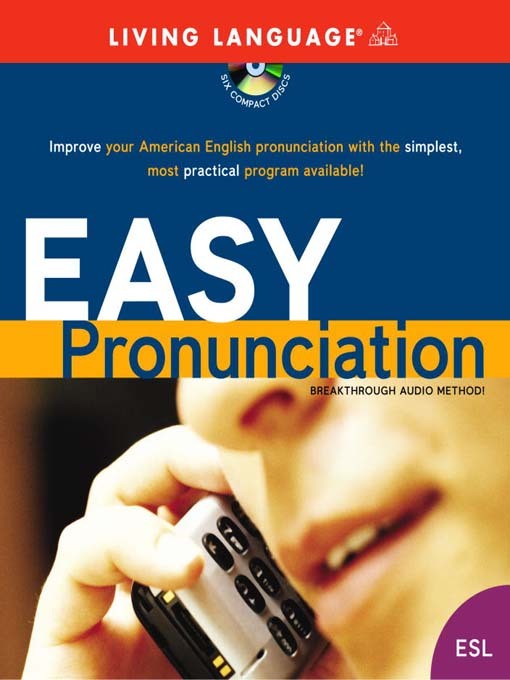 These two audio books from the Penninsula Library System are helpful for English Language learners who are beyond the basic level. 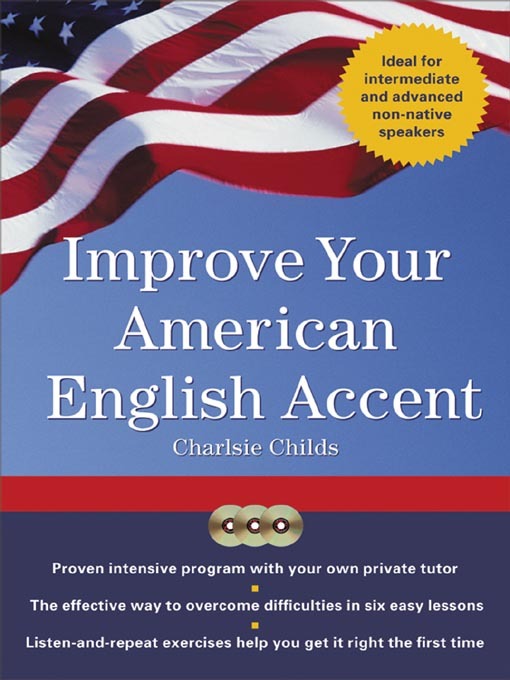 Improve Your American English Accent offers language learners an easy and enjoyable way to master the most challenging American English speech characteristics. Focusing exclusively on the core features that have the greatest impact on understanding American English speakers and being understood by them, it comprises six 35-minute lessons. Total: 3 hours 36 minutes. Download and use this worksheet to learn how to use "Advanced" searches in Academic Search Premier and other similar library database. Opposing Viewpoints contains thousands of papers from reputable sources that present facts and persuasive arguments on hundreds of social issues. Papers in the database are packaged together around topic themes. For each topic, a student will find papers that argue for a topic and papers that argue against that same topic. Papers present facts, historical background, and statistics for each topic. Use the Browse button to simply searching. Now you can focus on developing your English language skills. Films on Demand has several hours of streaming video suitable for ESL students that is presented in short segments. Here are a few sample playlists. 1.) Cutting Edge Communications Simple English Series in 20 segments. "The Basic English Series combines linguistics, psychology and instructional design." 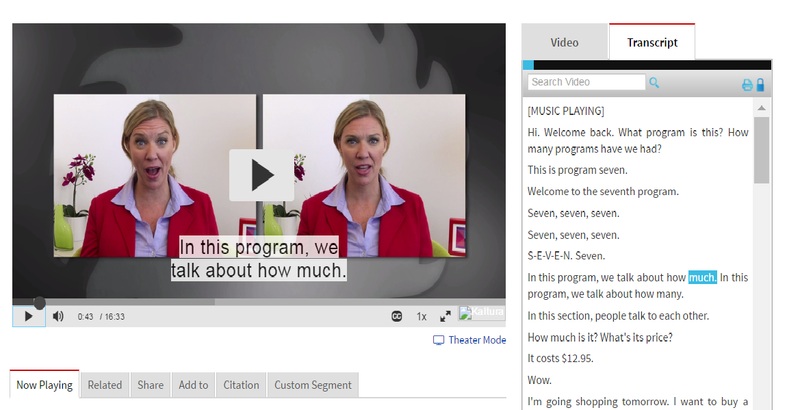 When viewing this series, you can turn on “closed captioning (CC)” as well as open up the interactive transcript that highlights each word in the transcript as it is spoken. Check out these "Tips for Learning English." For whatever class you are in, find relevant videos in Films on Demand. Here's a psychology video about the human brain. USA Today is a general newspaper that covering the entire US. USA Today intentionally writes in a way that makes reading its articles easy. For many articles in Academic Search Premier, an audio file of the text can be played. While a robot voice reads the article aloud the words spoken are highlighted in a text transcript. This can help improve listening comprehension. Click this link USA Today to see every article in USA Today listed from the most recent to the oldest. When in a library database look for the audio file icon that let's you know that a MP3 (spoken sound file) of the article is available. Here's an example. "America no longer has monopoly on English"
When in a library database look for the translate icon . It means that the article you found can be translated by software into another language. Because the translation is done by machine it contains errors. However, even with errors, the translation may be a useful tool to bridge from English to a student's native language. 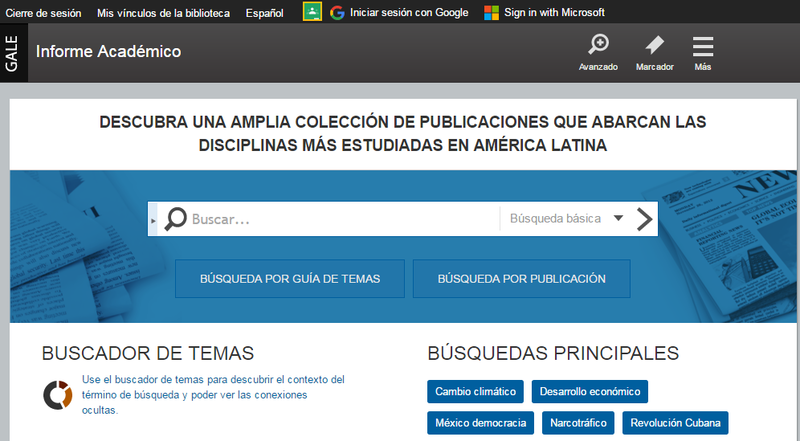 Informe is a Spanish language research database offered by the library. All directions for using the database are in Spanish and the content is written in the Spanish language. Informe can be an important tool that can help student bridge over from Spanish to English. The University of Barcelona offers a guide to citing electronic sources written in the Spanish language: Cómo citar recursos electrónicos.